tribalism and our traditional religions and that in the process we would destroy ourselves as a people. He was certain that God would judge our people and destroy them. Episcopalian in 1990 in Ethiopia. Now, years later, the president of South Sudan, President Salva Kiir has visited the Pope in Vatican City. This was more than the meeting of two heads of state; it was recognition that peace was possible in our country. 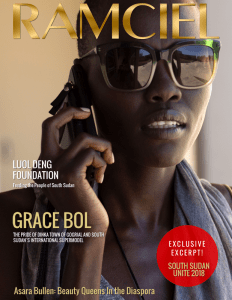 It was a clear message to Christians throughout the world that South Sudan was a nation capable of being part of the modern world and at one with Christianity’s traditional value of love for one another. How ironic is it that the attempt to force Islam on the people of South Sudan led to this connection with Christianity? Even more ironic is the role of Jafar Nimeri’s successor President Omar al-Bashir, the man who led Sudan during the civil war that produced South Sudan’s independence. He and Yoweri Museveni, president of Uganda, worked to bring about the new peace accord within our nation, one which has brought old friends who had fallen out back together in a new effort to move South Sudan forward. History is filled with irony. 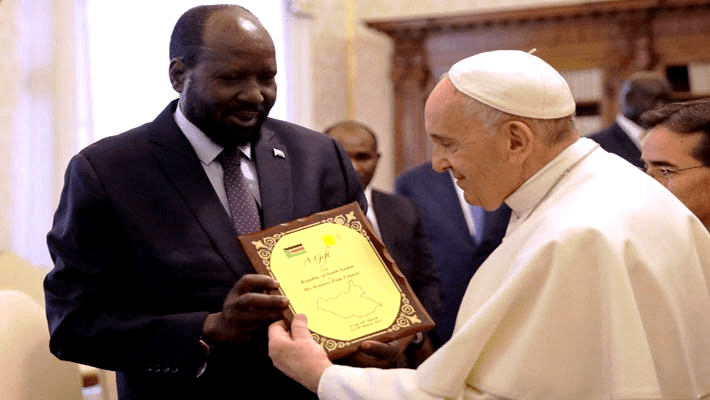 Thankfully for those who love South Sudan, the meeting of the Pope and the President illustrates how sometimes the results of such ironies can make the world a better place.